San Francisco Mayor London Breed and the Board of Supervisors have before them what either could be a trifecta in clean-transportation policy or a flubbed opportunity that could haunt the city for years and set a horrible example for the rest of the state and nation. 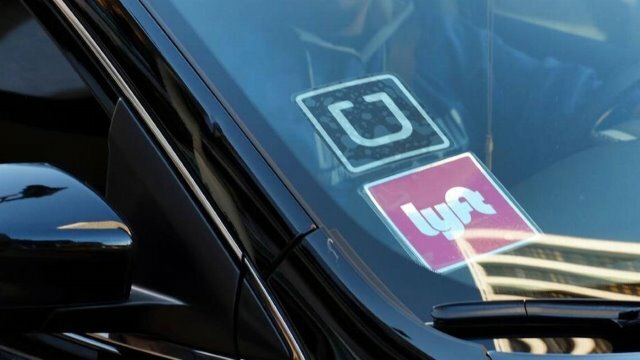 Led by Mayor Breed and Supervisor Aaron Peskin, city officials are drafting language for a November ballot measure that would levy a new per-ride tax on transportation network companies such as Uber and Lyft (and someday on self-driving cars, too) to raise funds to alleviate traffic congestion. There is, however, growing concern among environmental groups that city officials are more focused on the revenue-raising possibilities than promoting the use of environmentally sensible electric cars. Here’s the backstory: Last year, Gov. Jerry Brown signed AB1184, authored by Assembly Member Phil Ting, D-San Francisco, giving the city the green light to raise money by taxing each transportation network company (TNC) ride. Many environmental groups supported the legislation, as it promised to ease congestion while incentivizing use of zero-emission vehicles. Under the law, rides in an internal combustion vehicle carrying one passenger would be taxed at the highest rate, shared rides at a lower rate and ZEVs with ride-sharing passengers at the lowest or not at all. If city officials choose higher revenues over climate-friendly cars, however, then that would run contrary to the climate emergency resolution introduced last month by Supervisor Rafael Mandelman and a half-dozen of his board colleagues. The resolution states that “major cities throughout the world will need to significantly reduce their per-capita emissions by 2030, and as a city on a rapid growth trajectory, San Francisco has an obligation to lead by example.” Los Angeles is considering a similar TNC tax measure to reduce traffic congestion. To meet its obligation, San Francisco needs to get it right. Studies have found ride-hailing companies, while they do provide enhanced mobility for many, have siphoned riders from public transit in some areas, and also picked up some passengers who would have otherwise walked or ridden a bike. The San Francisco County Transportation Authority reported last fall that TNCs were responsible for about half of the increased traffic congestion on city streets between 2010 and 2016. As the city’s population continues to swell and the economy keeps producing more jobs, traffic congestion is only going to get worse. A recent government report projected the Bay Area’s population would grow by 2.1 million and would add 1.1 million jobs by 2040. Transportation connects people from home to work; how we get there matters. California’s transportation sector is the largest producer of greenhouse gas emissions, with cars and light-duty trucks the primary culprits. Gas consumption and driven miles are on the rise while electric vehicles represent only 3 percent of cars on the road. Don’t tax zero-emission vehicles like their polluting counterparts. Don’t tax shared rides like single-passenger trips. Don’t tax shared rides in zero-emission vehicles at all, as they meet the gold standard. What should be put before San Francisco voters is a per-ride taxation scheme that encourages the adoption of ZEVs while promoting ride-sharing. 3) a stream of revenue for needed transit improvements and electric-car-charging infrastructure. In short, a transportation trifecta that could be duplicated in cities across the nation plagued by traffic congestion aggravated by TNCs. Anything short of this would be a missed opportunity for our climate and air quality and for every driver in the city stuck in traffic. Note: originally published by the San Francisco Chronicle on March 26. 2019. This entry was posted in Advocacy, Clean Air, Clean Cars and tagged electric vehicles, EVs, San Francisco.